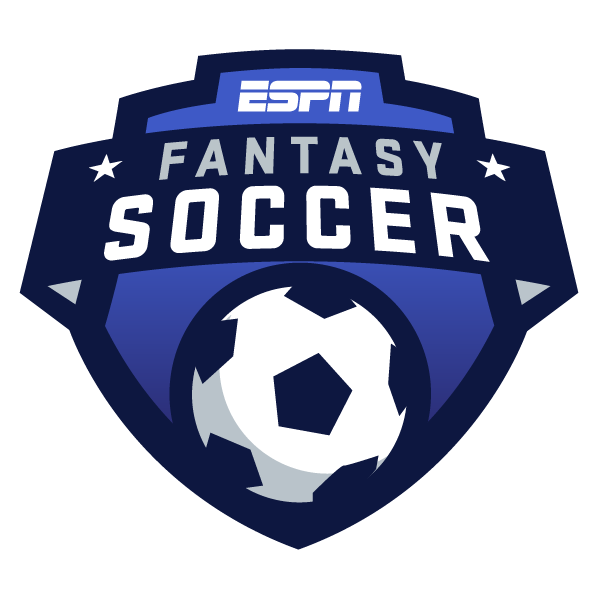 Fantasy La Liga - Missing Messi? The La Liga title race is effectively over following Barcelona's 2-0 win over Atletico Madrid last weekend. Barca now have an 11-point lead over Atletico -- and a 13-point lead over Real Madrid -- with just seven weeks of the season remaining. However, it's Atletico Madrid who are the biggest favorites this weekend, at home against 16th-place Celta Vigo. You might have expected Barcelona to be even bigger favorites, since they're up against last-place Huesca. But, Huesca is at home, and the team hasn't been nearly as bad as its position in the table might suggest. Huseca's goal difference (minus-20) ties them with 19th-place Rayo Vallecano for the worst mark in the league. However, in terms of xG (expected goals), a full five teams have a worse goal difference than Huesca's minus-8.8. Another complicating factor is that Barcelona played a Champions League quarterfinal first leg against Manchester United on Wednesday (winning 1-0), and the second leg is next Tuesday -- which could lead to rotation against Huesca. If Lionel Messi were to start against Huesca, he would be my Tier 1 forward and captain. After his latest stellar performance against Atletico Madrid (one goal, eight shots, five on target), Messi is up to 33 goals (12 assists) in 29 La Liga appearances. It's also worth recalling that Barcelona demolished Huesca, 8-2, in their first meeting this season. Messi had two goals, two assists and eight chances created, finishing with 54.1 fantasy points -- his second-biggest haul of the season. If Messi doesn't start -- which is now likely to be the case, after he took a shot to the face on Wednesday -- you'll have to look beyond Barcelona, because teammate Luis Suarez is suspended due to yellow-card accumulation. Iago Aspas is also suspended (for the same reason), and Antoine Griezmann has scored just one goal in his past nine games (including Champions League fixtures). My next choice for Tier 1 forward and captain, after Messi, would be Karim Benzema. He's up to 17 goals on the season, good for fourth in the league, following his brace against Eibar last weekend. Benzema has scored at least once in four of his past five games (six goals in total). He also scored twice in Real Madrid's first match against Leganes, a 4-1 victory. There's another midweek game that could also complicate things in terms of building your La Liga fantasy squad. Villarreal will host Valencia on Thursday, in the first leg of an all-Spanish Europa League quarterfinal. These two teams are in very different situations domestically, however. Villarreal is trying to stave off relegation and currently sit in 18th place. Valencia is in sixth, four points behind fourth-place Getafe, the current holders of the final automatic Champions League place for next season. Villarreal will probably prioritize their league game against 14th-place Girona on Sunday, given their precarious position in the table. Valencia have enough squad depth to go for it in both competitions, as winning the Europa League also earns you a Champions League place. Plus, Valencia has momentum, having gone unbeaten in 17 straight games (across all competitions) prior to a surprising 2-0 defeat at Rayo Vallecano last weekend. We could see some rotation with Valencia as well, but they're also the second-biggest favorites in the league this weekend. They paly at home against 15th-place Levante, who have conceded a league-worst 56 goals in 31 games. Worse yet, Levante's xG conceded total is 70.29. That's over 13 goals more than any other team. So, I'd really like to take advantage of this matchup. As of now, I'm planning to pick two Valencia players: Dani Parejo as my Tier 1 midfielder, and Rodrigo as my Tier 2 forward. Parejo had finished in double-figures in points in 12 of his past 13 starts before last week's poor showing against Rayo. His paltry return of 4.7 points last week was primarily because he failed to convert a penalty kick. Meanwhile, Rodrigo finished with just 1.8 points last week, and has scored only five goals this season. That said, his xG total of 12.59 ranks him eighth in the league, and he did score 16 goals only one year ago. He also took four shots in a 2-2 draw at Levante back in September. If Rodrigo starts, I'm giving him another chance. Giovani Lo Celso scored both of Real Betis' goals in their 2-1 win over Villarreal last week. He also has the highest points-per-game average among all Tier 2 midfielders. So he should be in your lineup this week, right? Well, not so fast. Lo Celso had failed to score in his previous five league games, and had only scored one goal in his past 12 matches dating back to Dec. 22. He also had only taken seven shots in those past five games combined, getting to double-digit fantasy points only once, and averaging just 6.3 points per game during that span. Koke, on the other hand, has finished in double-figures in four straight games and eight of his past nine, dating back to Jan. 6. He only scored one goal during that stretch, but picked up three assists, and averaged nearly 2.5 chances created per game. Koke is also 21st in the league in passes completed -- despite only making 23 appearances -- averaging 53.2 per game. What's more, Atletico Madrid have a much easier matchup this week than Real Betis, who are pretty heavy underdogs in their derby match at fifth-place Sevilla. As such, Koke will be my Tier 2 midfielder this week. Vicente Iborra, Villarreal (Tier 3 midfielder): He has been deployed as an attacking midfielder in recent games, and has a goal and an assist in his past four matches. Plus, Girona (Villarreal's opponent this week) is the fifth-worst team in the league in terms of xG conceded (49.82), and has won just 2-of-16 home games so far this season. Sergio Ramos, Real Madrid (Tier 1 defender): He was given a day off against Eibar last weekend, but Ramos should be back in the lineup at Leganes. He scored one of his six goals so far this season against them back in September, and also had a season-high 108 passes completed in the effort. Bernardo Espinosa, Girona (Tier 2 defender): He was dropped from the lineup for Girona's final two games in March, but started both their matches last week, posting solid totals of 10.7 and 8.7 points. That success was thanks largely to an average of 44.5 passes completed and seven clearances per game. Bernardo is third in the league in clearances on the season (164). Jan Oblak, Atletico Madrid (Goalkeeper): Celta Vigo is fighting for its La Liga life, and has scored three goals in each of its past three games. Aspas scored five of those nine goals, however, and provided the assist on two others. Without Aspas (and Brais Mendez, who has been out due to injury as well), Celta look pretty toothless. This is especially true going up against Oblak, who has 17 clean sheets -- four more than any other player in the league.